13 January 2016 – Yesterday, Saudi authorities arrested prominent human rights defender Samar Badawi. She will appear before the Bureau of Investigation and Public Prosecution (BIP) today, 13 January 2016. The European Center for Democracy & Human Rights (ECDHR), Americans for Democracy & Human Rights in Bahrain (ADHRB), and the Bahrain Institute for Rights and Democracy (BIRD) condemn Samar’s arrest in the strongest terms possible and demand her immediate and unconditional release. Last Wednesday, Saudi law enforcement officials summoned Samar Badawi for investigation concerning activity on the Twitter account of Waleed Abu al-Khair, her former husband and an imprisoned human rights lawyer. On Friday, 8 January 2016, Waleed’s Twitter account published a photo of the imprisoned attorney alongside Fowzan al-Harbi, another imprisoned activist and a member of the Saudi Arabian Civil and Political Rights Association (ACPRA). Officials kept Samar Badawi waiting for several hours before informing her that her investigation would not begin, and they asked her to return on Tuesday, 12 January 2016. After arriving at 11 AM today, officers interrogated her for two hours, accusing her of managing Waleed’s Twitter account—a charge clearly in violation of her right to free expression. They then placed her in a police car and transferred her to Hayy al-Salam police station in Jeddah. At the police station, they formally placed her under arrest. They then transferred her to Dhahban prison in Jeddah. Her interrogation is supposed to resume with the public prosecution this morning. Samar denies the charges against her. Samar Badawi has a long and distinguished history of human rights activism. She is one of few Saudi women to openly challenge the system of male guardianship in court, having won a legal case against her father in July 2010 after he refused to let her marry. In the years since, she has become a vocal and public advocate on behalf of imprisoned human rights activists and women’s rights, and was recognized as an International Woman of Courage by then-Secretary of State Hillary Clinton and First Lady Michelle Obama in 2012. Yesterday’s arrest is not the first time that Saudi authorities have attempted to silence her activism. In December 2014, officials working under the Ministry of Interior prevented her from boarding a plane to attend the EU NGO Forum on Human Rights in Brussels, Belgium, informing her that she had been banned from traveling. This ban likely came in response to her engagement at the 27th Session of the UN Human Rights Council (HRC) in September 2014. There, she spoke on a panel on human rights violations in the kingdom and delivered an oral intervention to the Council calling for the release of Saudi political prisoners. In a clear act of intimidation, the Saudi Ambassador to the HRC interrupted Samar twice during her presentation. 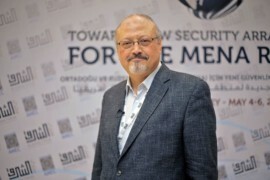 In reaction to this travel ban, the European Parliament mentioned Samar’s case in a larger resolution on the human rights situation in Saudi Arabia.